We often view trips—and especially outdoor exploits—as a chance to “get away.” Traffic, people, cell phones, computers, laundry, grocery lists, etc: a trip to the mountains can be a great reset button when life in society is feeling overwhelming. Kim and I hadn’t planned our trip to the Ruth Glacier as a chance to “get away,” but rather as a chance to “get to” some beautiful mountains that we’d never been to. But the sheer method of getting to the Ruth Gorge, which included a flight to Anchorage, a ride to Talkeetna, and another flight directly into the Ruth, still ensured that Kim and I would be “away” from it all. 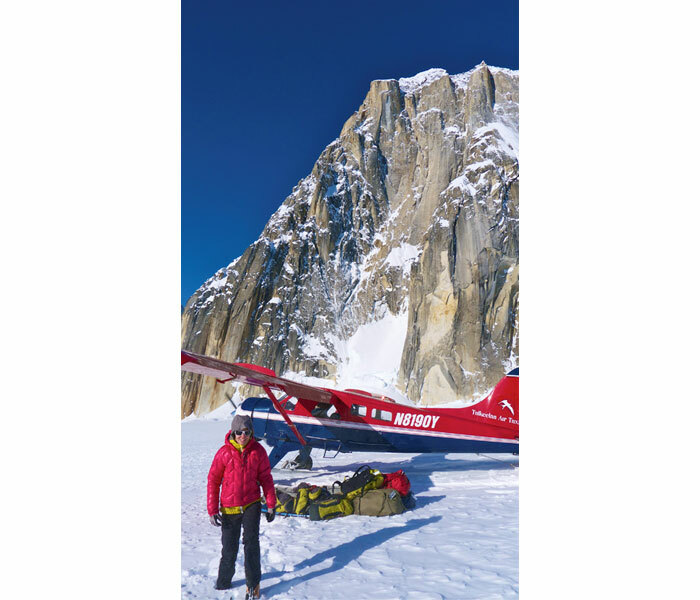 The pilots of Talkeetna Air Taxi must get a kick out of flying climbers into the Alaska Range. As we flew into the Ruth Gorge last April, conversation failed; our jaws dropped as we plastered our faces to the tiny plane portholes. Even from the air, the enormity of the Ruth commands respect. Landing at the airstrip (read: tracks in the snow) in front of Mt. Dickey, we saw that a couple other climbing parties had set up camp right next to the strip. 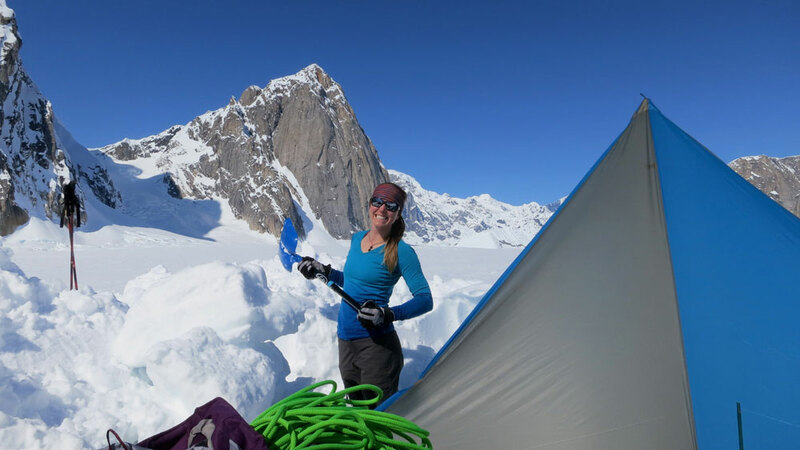 It was nice to know that we wouldn’t be alone out on the glacier; still, we took all of our gear and hiked away from the airstrip for a few minutes, and took that day to build camp in our own space. 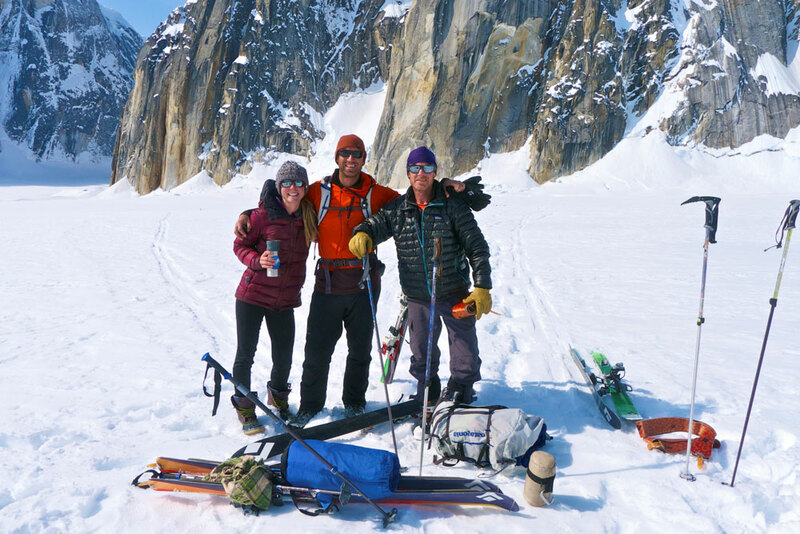 Feeling great about our home away from home, we clicked into our skis and began to explore down glacier. Very quickly we learned the scale of the peaks that line the Ruth Gorge: skiing past a given peak would take nearly an hour. Feeling significantly smaller, we began to chat about our hopes for climbing for the next two weeks. 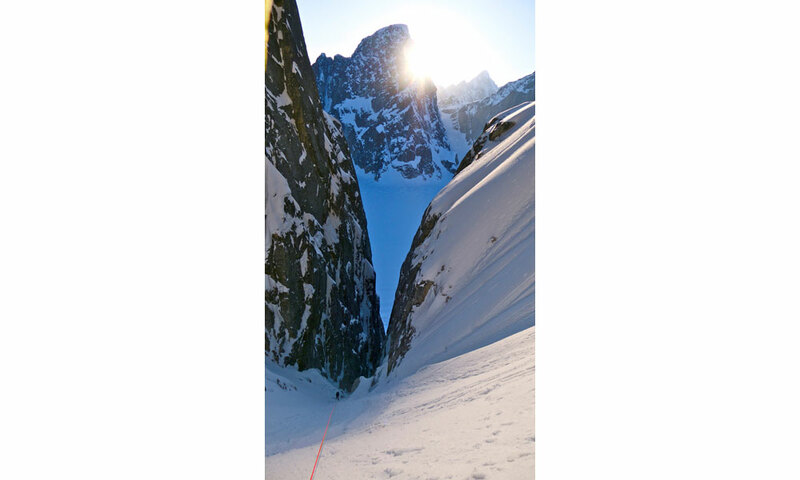 We were interested in climbing several routes, and hopefully one big peak. We hoped for good weather and knew that, whether we climbed a little or a lot, we were in one of the most spectacular places we’d ever been. The next two weeks involved a lot of sunshine, and a lot of climbing. They also involved something that we hadn’t expected: time spent getting to know quality people. A few days into our trip, after a day of climbing, Kim and I returned home late at night to discover that ravens had raided literally all of our climbing food. Some 40+ Pro Bars, 10 Mountain House meals, and 30 candy bars had disappeared, and Kim and I wondered what we could eat while out climbing. The next day, our friend Andres stopped by, and we told him what had happened. 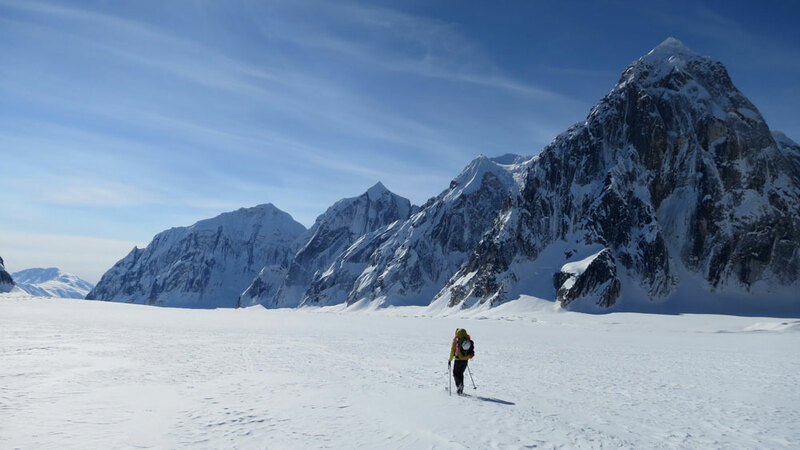 Andres is a talented mountain guide, who spends a good portion of each spring in the Alaska Range. His trip was ending that day and he was flying out, and then flying back into the Ruth Gorge several days later. While back in society, Andres picked up protein bars and dehydrated meals for us. He then dropped them off with another climber to deliver to us, as his plans changed to fly to another part of the glacier. What a treat to get an essential delivery from such a thoughtful person. 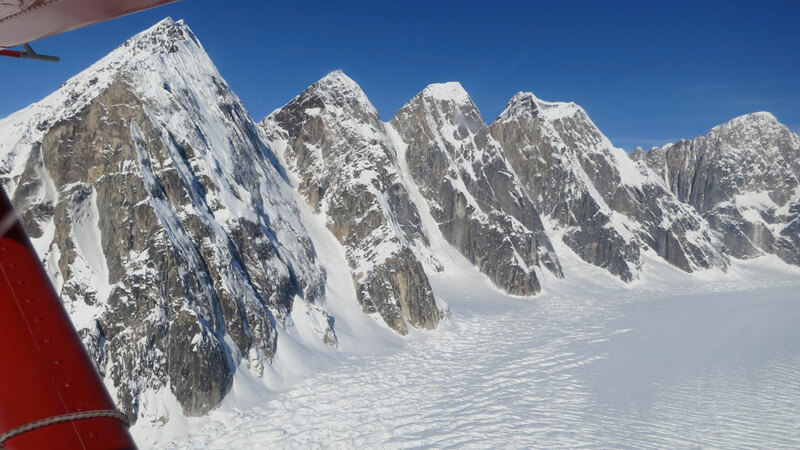 While Andres was in society, another group of climbers had finished their main climbing goal, and had returned to the airstrip for the last few days of their trip. As we told them what had happened to our food, they rallied together all of their leftover climbing food and passed it to us, along with a leftover box of wine (which made our trip significantly classier). Their generosity tided us over while Andres was gone, and we ended up not missing a beat with climbing because we had proper food for our full days out. One day, another party flew in while we were climbing, and set up their camp about 100 yards away from us. “I wonder why they camped so close?” I mused to Kim when we returned home. 100 yards is plenty of space between camps, but we had adjusted to the large scale of the Ruth Gorge, and it suddenly felt like we had close neighbors. The next day we skied over to say hello, only to discover that these neighbors were actually fellow climbers from Salt Lake City, Jason and Nate. Our trip then took on a different feeling, and we enjoyed potlucks with the boys, and keeping tabs on each other’s climbing plans. 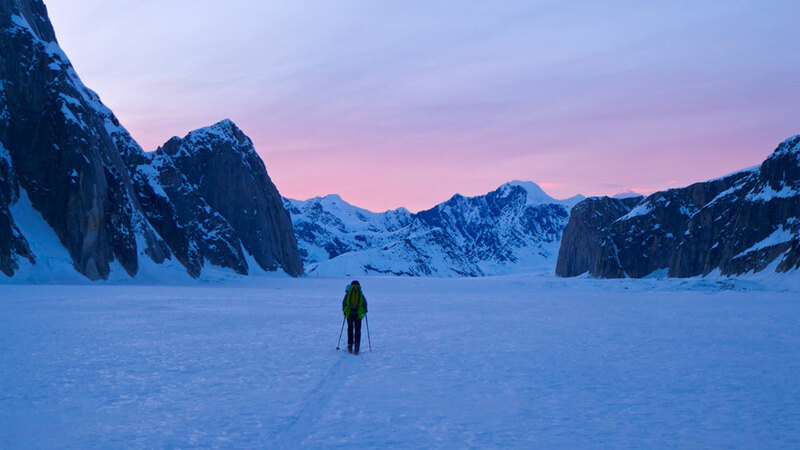 One day, Jason and Nate even took the time to ski down glacier after sunset and meet us with a thermos of hot chocolate, making sure that we were well after a long day of climbing. Their kindness made the hot chocolate all the more warming after the sun had set and we made the final trek back to camp all together. Kim and I set a goal to climb Mt. Johnson in our time on the Ruth. Mt. Johnson would be the biggest peak we’d climb on this trip (with 4,000 feet of elevation gain), and is strikingly beautiful. As the peak is over four miles away from base camp, we originally planned on taking down a tent and sleeping bags to established an ‘advanced base camp’ at the base of the peak, thus saving us time in the morning. Our advanced base camp was beautiful and set us practically at the base of our route, but the day we planned on climbing we woke to steady snowfall and low lying clouds. After some discussion, we opted not to climb in the stormy conditions, and went back to sleep. 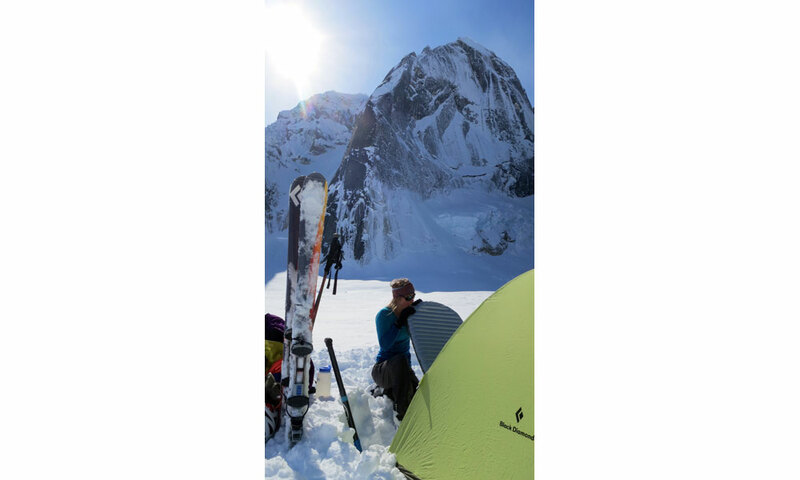 We took down our tent and skied back to base camp later that day, slightly discouraged for not being able to climb. Several days later, Kim and I decided to give Mt. Johnson another try. This time, instead of building an advanced base camp, we decided to just start from our established camp. We woke up at midnight, turned on our headlamps, and skied down to the peak in the dark. We started climbing, and about 45 minutes later, I felt the ambient light was bright enough so I turned my headlamp off. Kim caught up with me soon, and announced that her headlamp had popped off of her helmet, falling down to the base of the mountain. We laughed about it, and made a mental note to look for the headlamp when we got back down. We watched clouds blow in and out as we made steady progress up the east face of Mt. Johnson. The day grew long, and we enjoyed the sweat and toil of moving through ethereal alpine terrain. Standing on the summit, enveloped in clouds, we found ourselves breathless and speechless. How great to share the whole journey with a dear friend. Getting down from Mt. 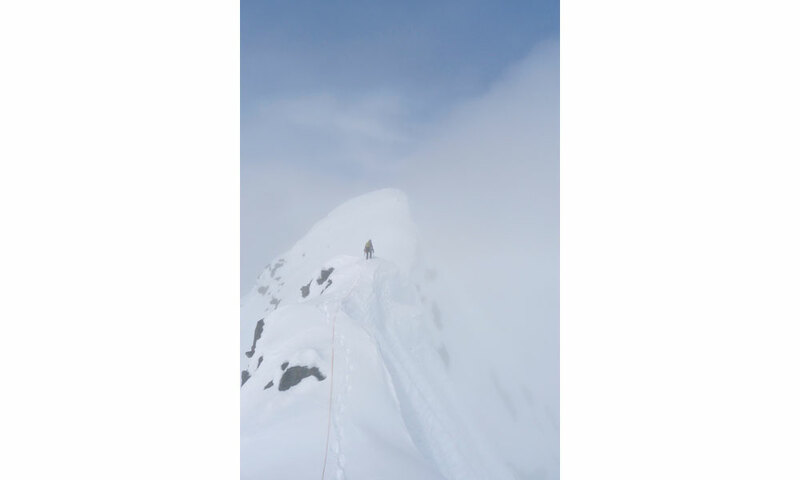 Johnson was a long and arduous process; the day faded away, and in the dark we wearily made our way back to the base of the peak, where we had stashed our skis. Preparing to search in the dark for our dropped headlamp, we were surprised to find footsteps in the snow and Kim’s headlamp nicely hung on the tip of our skis. Someone had been there, we couldn’t guess who. 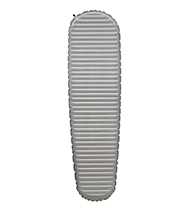 We skied slowly back to camp, so happy to finally arrive at our sleeping bags, knowing that we could rest as long as we wanted the next day. We probably didn’t stir from the tent until noon; we took our time drinking coffee and eating whatever food we could find. This sunny day in base camp, we relaxed and enjoyed the company of visitors. Coop and Ryan, a duo from Colorado that we had shared many good conversations with, stopped by mid-afternoon. “You girls scared us!” Coop came over and clicked out of his skis. Slowly the story of the retrieved headlamp began to unravel. 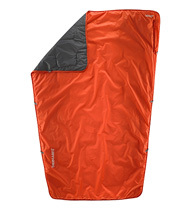 Coop and Ryan had woken up early, planning to climb the North Face of Mt. Johnson (a grand adventure worth reading) the same day we climbed the East Face. Looking towards Mt. Johnson, they spied our two headlamps moving up the face through the dark. Packing for their climb and cooking breakfast, they looked back at Mt. Johnson a few minutes later to a frightening sight: instead of two headlamps moving up the face, they saw only one headlamp back down at the base. Their timing for glancing up was perfect: while they had looked away, I had turned off my headlamp because of the ambient light. At the same moment, Kim’s headlamp had popped off her helmet. Coop and Ryan understandably feared the worst: that something terrible had happened and we had somehow fallen down the face. 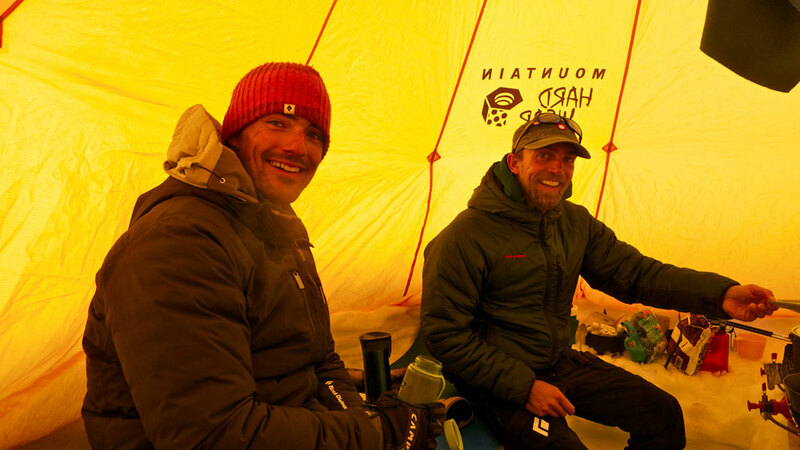 Abandoning their plans, Coop and Ryan launched into rescue mode: they woke up Jack and Fabrizio, two seasoned and talented climbers also in the area, and hurried down to Mt. Johnson to our rescue. How relieving (and surely exasperating) to find only a dropped headlamp at the base, and no injured climbers. Kim and I apologized for scaring them, and thanked them for being so willing to help us when they thought we were in need. This was the perfect way to spend a day after climbing: we all sat on the glacier, basking in the sunshine and good company. We hugged Coop and Ryan when they left to return to their own camp, thanking them for their kindness and wishing them luck on their upcoming attempt on the North Face. 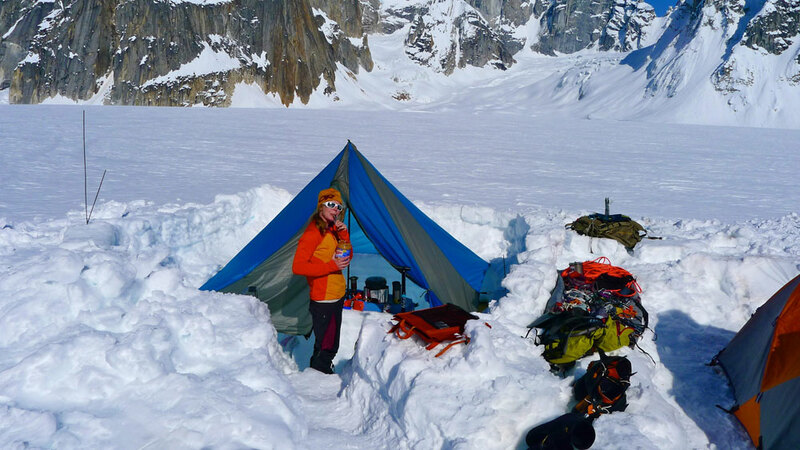 The next day, Kim and I packed up camp for our flight out of the Ruth Gorge. As we waited next to the airstrip, we sipped coffee and chatted about all the grand adventures we had. We talked about the unexpected tight-knit community we’d become a part of in the mountains, and how we’d miss their company until next time we saw them in the hills. So funny how, in our effort to “get away,” we’d come away with a new sense of home. This trip would not have happened without support and stoke from the American Alpine Club, Therm-a-Rest, Outdoor Research, Beal Ropes, CiloGear, Scarpa, and all of our supportive family and friends. Y’all are great, THANK YOU! Author: Jewell Lund. As a coffee roaster in Salt Lake City, on a given day you can find Jewell smelling of coffee and showing signs of over-caffeination. Or maybe it’s from excitement about upcoming climbing plans? 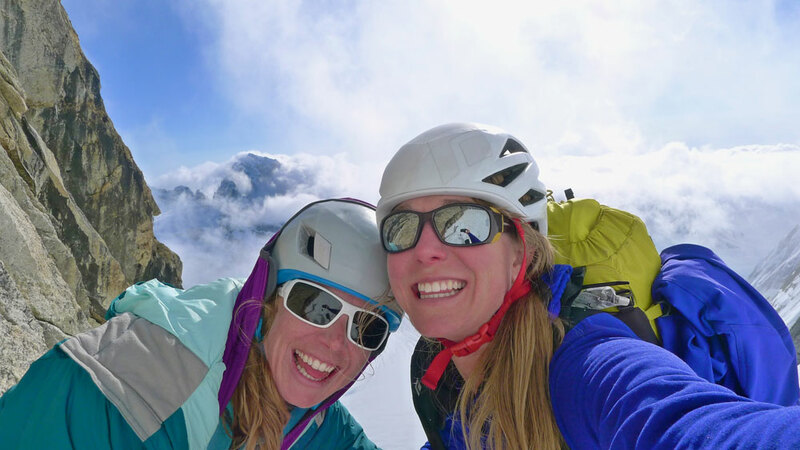 An avid rock, ice and alpine climber, Jewell remains inspired by the mountains, which have taught her the joy of living for passion, the poignancy of being intimate with fear, and the gift of deep-rooted climbing partnerships. She looks forward to continued adventure and learning in the hills.